In January 2016, SunButter® LLC began dry roasting sunflower kernel on new top of the line roasting equipment. 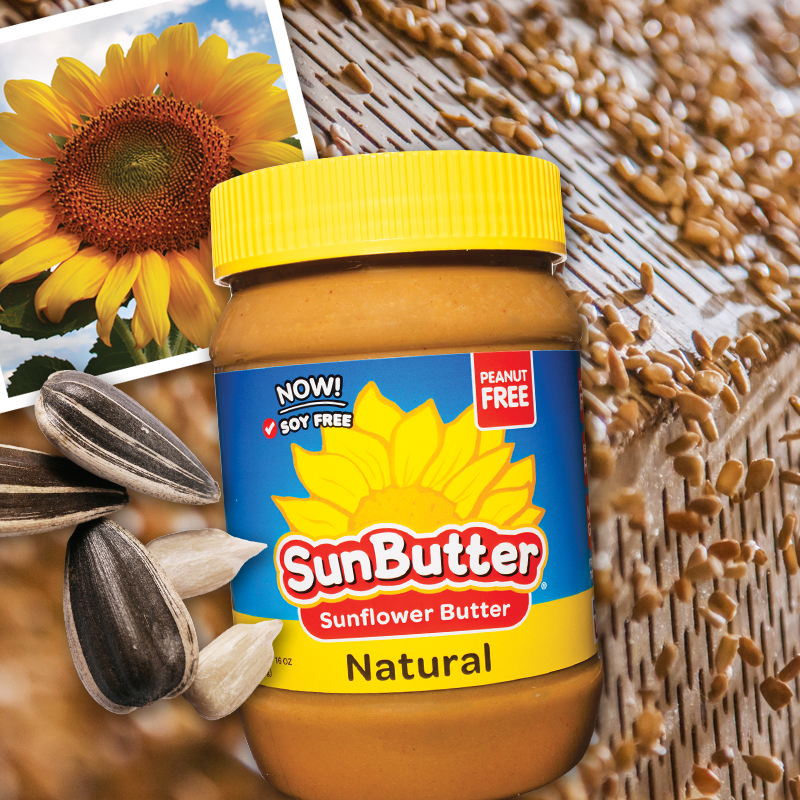 SunButter Sunflower Butter will now be produced in one continuous process from field to table that will ensure a fresh roasted flavor, improved product consistency and a finished product that is free from all of the top 8 food allergens. SunButter produced on the new equipment will arrive on store shelves in the spring of 2016, and the packages will carry a ‘Now Soy Free’ burst. SunButter advises customers with food allergies to read labels carefully. SunButter has always been free from seven of the top 8 food allergens including peanut and tree nuts, but only product with new packaging is free from the top eight. All SunButter products are clearly labeled for common food allergens.